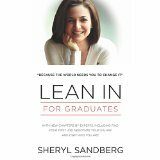 I finished ‘Lean In’ the book by Sheryl Sandberg, COO Facebook, which both explores and implores women to step towards challenges they face in the workplace. I found the book to be highly insightful and encouraging; on a practical level, it inspired me to reach for goals that subconsciously I had felt were beyond my reach. 1. Striving to fit in – How women strive to fit in to a male environment and thus deny female qualities and the dimension this brings to the work environment. 2. Tokenism – How women cope by being one of very few women in a particular environment – and how this may create a ‘Queen Bee’ situation which pits one woman against another. 3. Lack of Female role models – a problem common in a heavily male oriented environment which means women may feel less able / positioned to do better. For example some women have never reported to a female boss. Just as some people may have never reported to a boss from an African or Asian ethnicity. 4. No training programmes that discuss gender / gender stereotypes – a point which highlights how often this real problem remains unaddressed in the workplace. This is the same where workplaces ignore the need to educate staff about diversity issues and the impact of culture on interaction styles. 5. Stereotypes – can demean, marginalise, belittle and generalise. How negative stereotypes these can be internalised by all – both men and women. Sheryl discusses how women are often depicted as ‘bitching’ of one another and how this actually avoids the underlying issues. I am certainly aware first-hand of the burden of negative stereotypes of ‘black’ people and how damaging and limiting this can be on a personal and professional level. 6. Immaturity or Blind-sidedness- not a term particularly used by Sheryl but none the less it describes this leaning towards focussing on our differences – to our detriment rather than our similarities (and we are more similar than we are different). It does seem that there is an obsessional over-focus on our differences as people rather than what unites us! 7. Typecasting – Sheryl talks about being described as the ‘first female COO of Facebook’ rather than ‘the COO of Facebook’. (I think of the frequently used statement: ‘ Obama; The first Black American President’ rather than ‘the President’. 8. Majority Male – as most bosses are male, how confident and competent are they to discuss gender issues and effectively lead change in these areas? Knowledge comes from lived experience of the issues. Whilst most bosses remain male and white and able-bodied, the same problems will persist. 9. Privilege – most males do not see the advantages they enjoy based on their gender status alone. The same can be said for other diversity factors. 10. Will to scrutinise – we all need to be open to appraise our own behaviours and commit to growth regarding our bias in order to tackle this issue of gender/ race / other diversity factor bias. If you have experienced gender discrimination in the workplace, this book will be an eye opener which articulates well the unspoken words of your experience. Often discrimination can be subtle, it can be assumed, it can be overt and at other times it can be taken for granted – only when we stop and think do we consider that actually we are not all together comfortable with ‘this or that’ behaviour or comment (and then the moment has passed). This is something that happens all the time. This blog will have stirred some thoughts, so leave your comments below…. What now? What can we do? Read the book – Sheryl makes some practical suggestions in the book; we can form networks of women and support each other. Sheryl has formed ‘Lean In’ circles. See here for more information. Training Program: The book has inspired a new training program called ‘New Focus on the Familiar: Understanding through Diversity’ – a training program that uses our lived experiences of discrimination to promote understanding regarding diversity factors. I read the book as well some time ago. I found it particularly profound how Sandberg addresses the issue of women also being guilty of treating other women differently. We still have a ways to go, but I think as a society we are managing some progress. Thanks for commenting. I also agree, however I’d add that whilst it is mostly men at the top, the problems will continue to persist – as it is knowledge through lived experience that propels us to want to change things for the better – and how can women do this if they are not in positions of power (to effect this change)? But having said this, women (and men) are striving to make change anyway..